When the Edisto set sail for Punta Arenas, it took a while to come to the realization that the nine of us, plus our Husky K-9 friend, were now faced with eleven months of interdependence on each other for mental, physical, and physiological survival. As the pack ice tightened its grip on the frozen continent, and having no airstrip for rescue planes to land on, the reality of our situation finally set in – we were alone. To a man, we had been all selected for this situation because of the testing and training that we had undergone. I don’t remember anyone dwelling on this subject for any length of time. 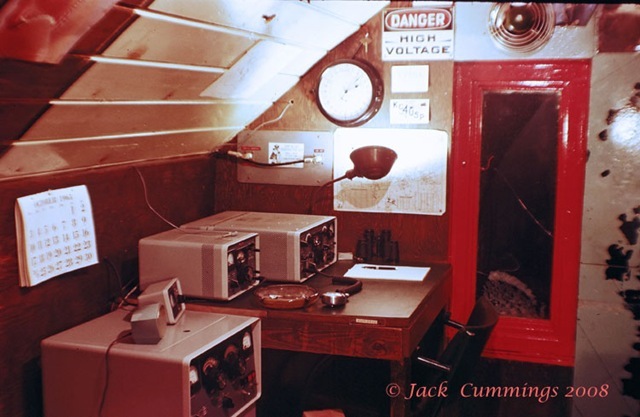 As long as we were able to communicate with our loved ones via “Ham Radio”, we still had a “Lifeline to the World”. I will admit that I utilized this resource more than the others, mainly because the equipment occupied one end of my work space; the radio shack. As winter set in, I decided that it would be more convenient for me if I modified the small space behind one of the walls into a sleeping compartment. Using this arrangement, I would not have to sleep in the main quarters. Moving between buildings during and after storms was not always safe. 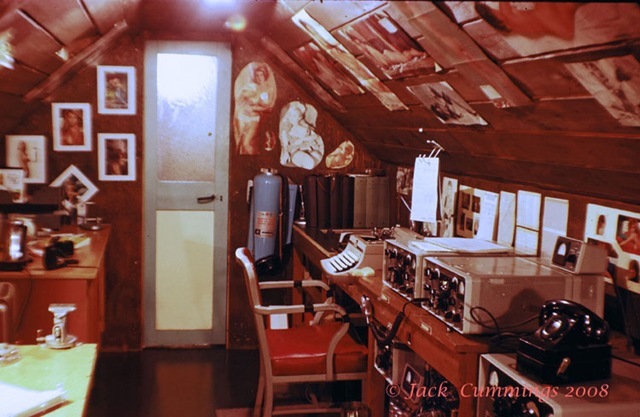 It was necessary for me to be present in the radio shack twice a day when my message traffic was scheduled to be transmitted by NavComSta Balboa (NCS). Missing those transmissions was not an option. As the year progressed, I was able to bond with several Ham operators in the states. The service these dedicated individuals provided in connecting the winter-over party with their families at home through “phone-patches” was fantastic. During the summer hours we mainly operated in the 20 meter band. The 20 meter amateur radio band is a portion of the shortwave radio spectrum, comprising frequencies stretching from 14.000 MHz to 14.350 MHz. 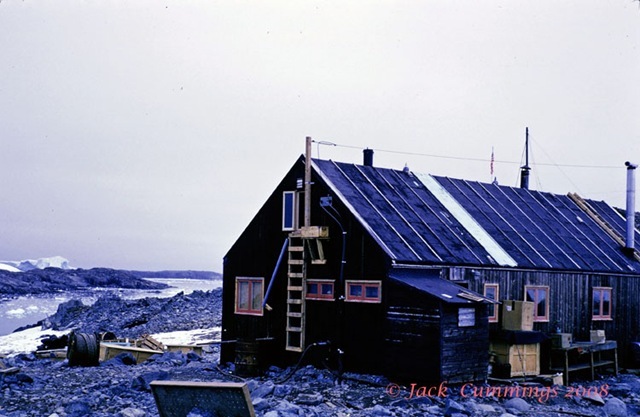 As we got deeper into winter though, and conditions changed in the ionosphere, we had to move to 40 meters. The 40 meter band comprises frequencies from 7.100 to 7.200 KHZ. I had three antennas at my disposal to connect my equipment to: a long wire, a conical monopole, and an “inverted V”. 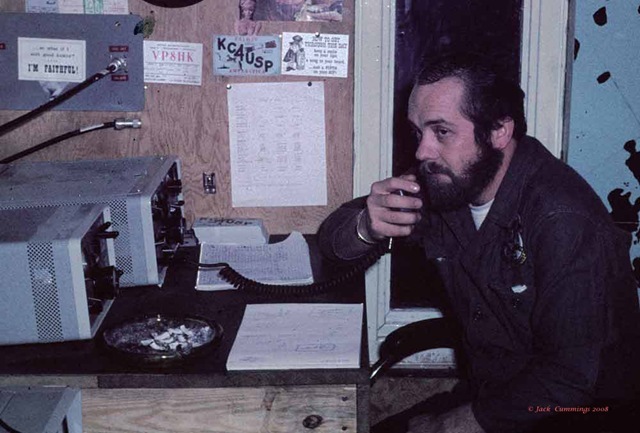 During the deepest part of winter I used to have a daily “schedule” with a group of Hams in southern California on 40 meters. There were times when conditions were just right and a gentleman named Ken from Fairbanks, Alaska would join this conversation. I would usually boost the strength of my Single Sideband (SSB) signal output from 80-100 watts to 1000 watts by “driving” my Collins 30L-1 linear amplifier with the KWM-2 transceiver. As the folks in California “faded into the dirt”, Ken in Fairbanks (on the opposite end of the earth) and I would continue our conversations without the 30L-1. It was incredible. Then there were the times, however, when the ionosphere would seem to disappear. Signals on any band were non-existent. This condition could last for days. The ionosphere makes long distance communications possible by bouncing high frequency radio signals to back to earth. (Similar to bouncing a ball from ceiling to floor) The ionosphere is a region of the earth’s atmosphere where ionization caused by incoming solar radiation affects the transmission of radio waves. It extends from a height of 70 kilometers (43 miles) to 400 kilometers (250 miles) above the surface. This region is higher during long periods of sunlight and lower in long periods of darkness. 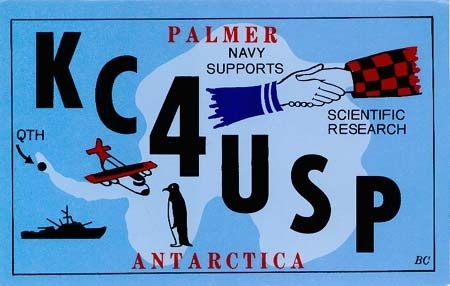 QSL cards were mailed to our loyal Ham operators – the card above was designed by Barbara and was in use at all active stations. It was recently retired.